The First song is actually two songs. A classical piece that I´m too ignorant (or uneducated) to know, followed by Katanga, a organ-driven Rock instrumental with very dynamic drums. Psychedelic! Diwane Bood In Del (This Heart Was Insane) is a beautiful sad Psychedelic-Pop song with a nice sitar by Abbas Mehrpouya. 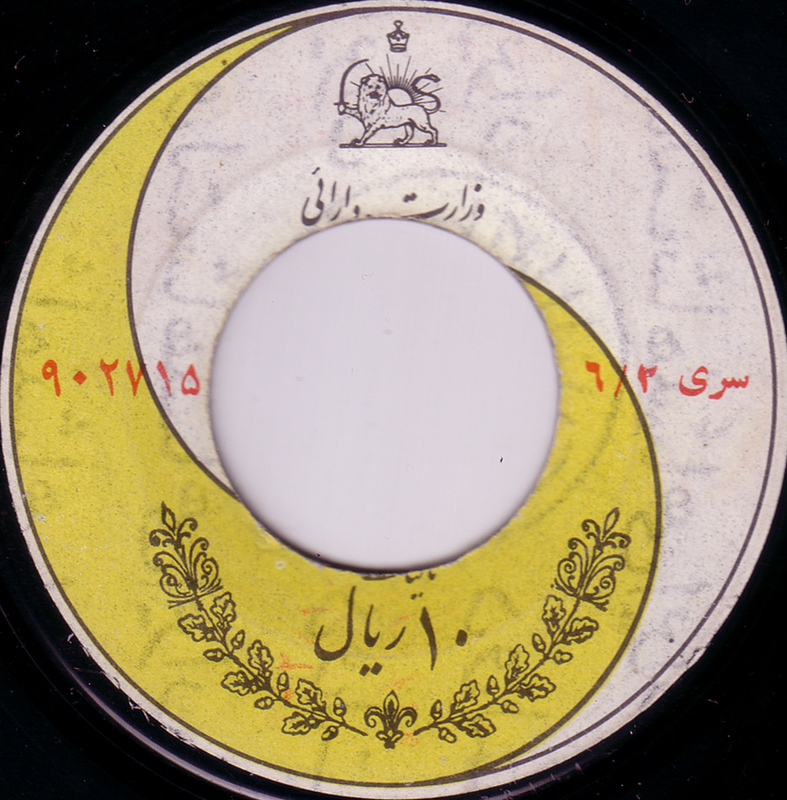 ( From the youtube video description: Abbas Mehrpouya (1928-1993) was one of Iran’s top guitarists and sitarists. He had a unique voice and a unique style which no one has copied yet. Thank you for that information Ilias! I was hoping that some educated people were reading my blog. How nice that it´s you. 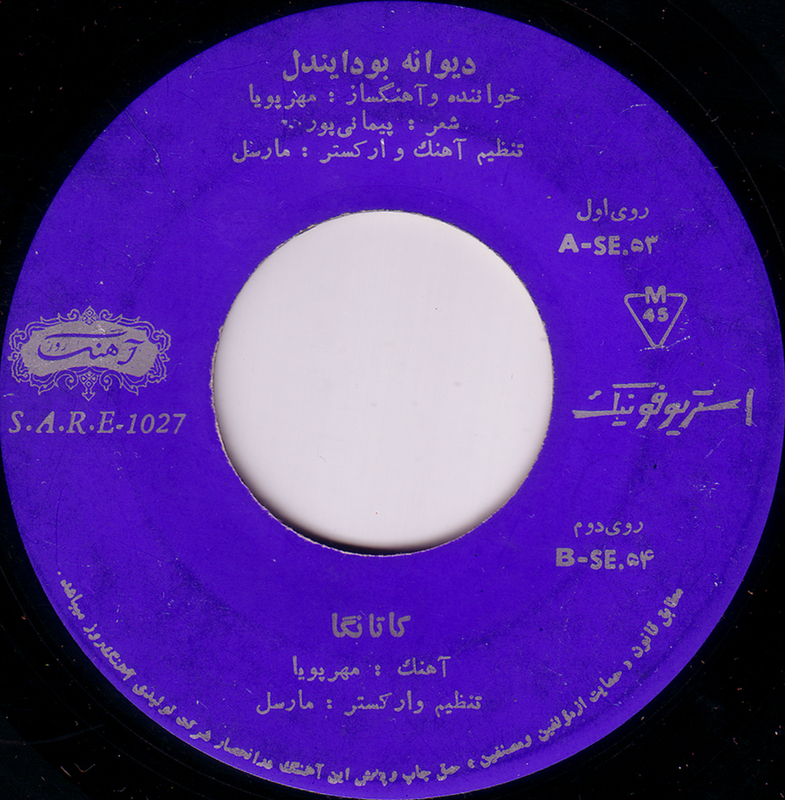 Just getting back to your blog after an absence of several weeks.I have two Iranian 45s by this guy,from the 70s,that I bought about fifteen years ago from a thrift store.Not being able to read,or translate Persian,I had no idea what they were. Thanks for identifying them for me.